Plumbing installation is a very essential service you will need for your home whether you are building a new house or you have an old one. Therefore, you need to find a good plumber who will not only install your plumbing systems efficiently but will also repair them in case of any damage. Here are tips on how to find a good plumbing installation service in your area. Start by talking to your relatives, friends, colleagues and neighbors and asking them if they know a reliable plumbing service in your area. This is the simplest way to get a trustworthy service. Another great way to find a good plumber is to get online and search for plumbing companies that are within your locality. Make sure that the company has a plumbing license and any other required documents. The government usually sets strict licensing requirements that a plumber must meet. 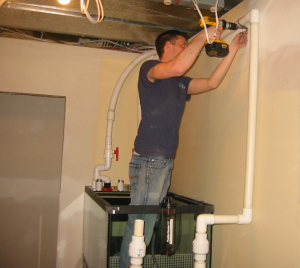 therefore, a licensed plumber possesses most of the qualities you would expect a reputable company to have. The company should also have full insurance that covers you and your property in case of any catastrophe. Get at least two references and go through online reviews. You will be able to identify genuine reviews and ones that have been planted. You may even request to see some of their past work. Read their Twitter feed and Facebook page to see how they interact with their customers. Ask how long the company has been in business. This will tell you they wouldn’t disappear on you. Generally, a reputable company should last while a disreputable one fade. However, that’s not always the case. On the same note, a company with many years’ experience has handled different kinds of tasks and so will be able to install your plumbing systems efficiently. Ask if they have guarantee for their work. Reputable plumbers have great belief in their work quality and performance standards so will be ready to offer a good guarantee. When you are interviewing the plumber, ask him about the number of people in his team. Check the qualifications of their employees and their specialties. A reputable company should have a team of qualified and experienced staff who can handle any plumbing installation task. While some plumbers try to quote the lowest price, their work may not last the longest time. What matters here is to get flat quotes so that you know what the company will do and what you will pay them. Finding a plumbing service that offers low prices isn’t necessarily the sign of a reputable plumber. Use the tips given above to find a good plumber. Get quotes from at least three companies and compare their services and rates.